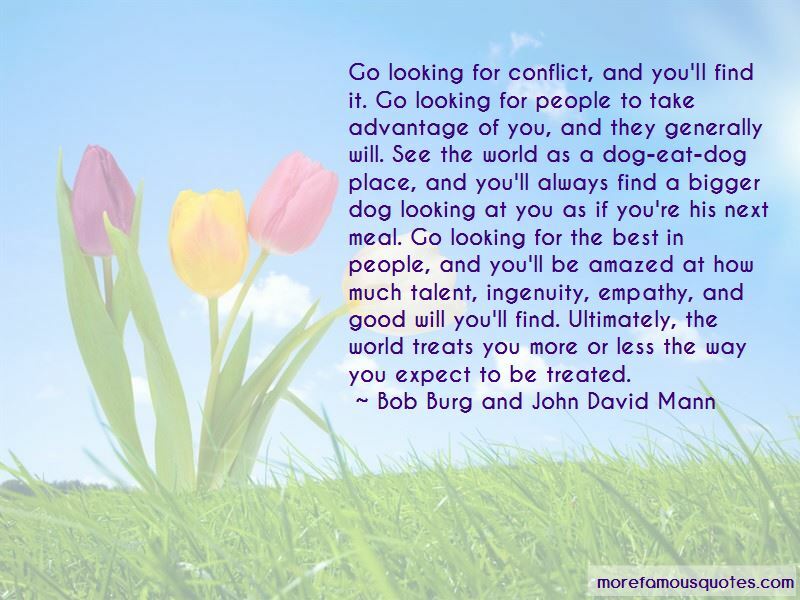 Enjoy the top 4 famous quotes, sayings and quotations by Bob Burg And John David Mann. 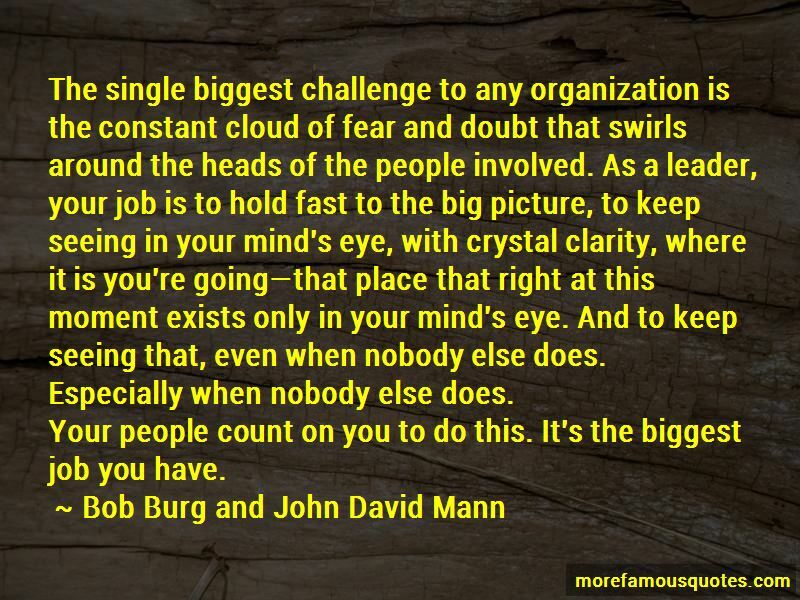 “The single biggest challenge to any organization is the constant cloud of fear and doubt that swirls around the heads of the people involved. As a leader, your job is to hold fast to the big picture, to keep seeing in your mind's eye, with crystal clarity, where it is you're going-that place that right at this moment exists only in your mind's eye. And to keep seeing that, even when nobody else does. 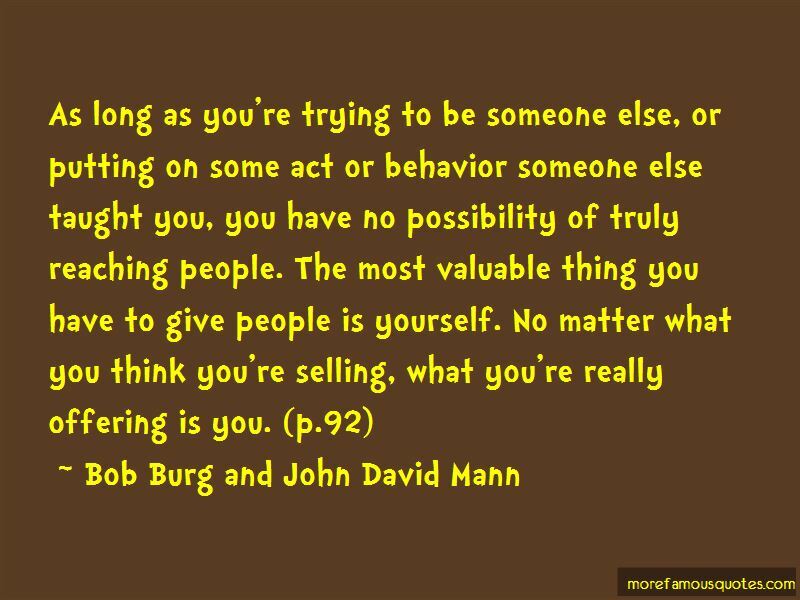 Want to see more pictures of Bob Burg And John David Mann quotes? 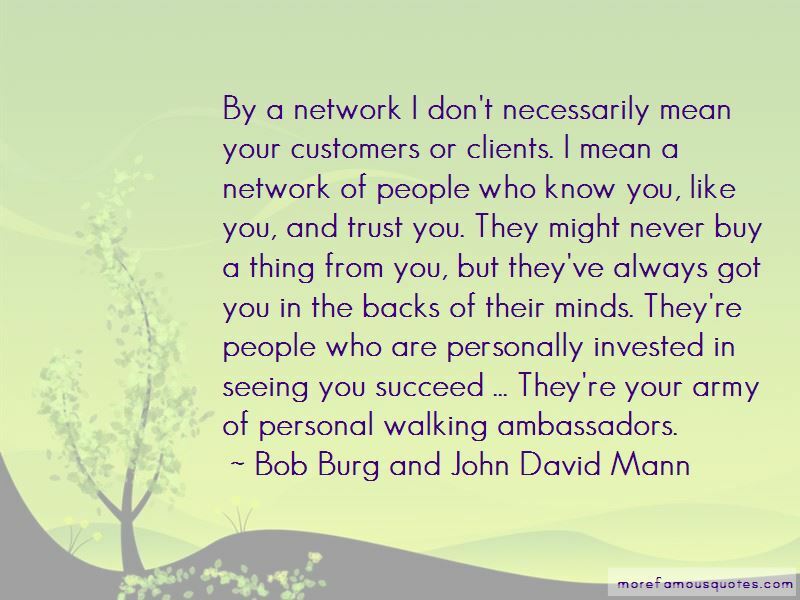 Click on image of Bob Burg And John David Mann quotes to view full size.